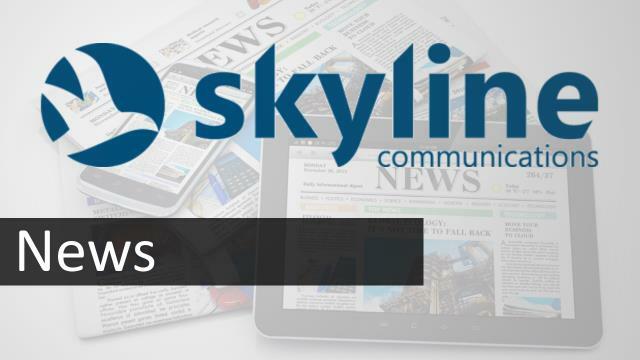 Skyline Communications, global leader in end-to-end multi-vendor network management and OSS software solutions for the broadcast, satellite, cable, IPTV and mobile industry, announces that Telenor Satellite Broadcasting AS has selected DataMiner to automate its operations end to end. Telenor Satellite Broadcasting (TSBc) is a leading European satellite provider of broadcast and broadband services for customers in the broadcast, maritime, and oil and gas markets. TSBc owns a fleet of high-powered and high-quality satellites providing capacity throughout Europe, the Middle East and Africa. DataMiner reads service configurations from TSBc’s existing service configuration database and, with that information, provisions the entire network in a fully automated manner. This includes the provisioning of all network elements like receivers, encoders, transmitters, etc. regardless of vendor or type of device. The creation of confidence monitoring configurations for video probes and RF testing equipment is also automated. No duplicate provisioning is ever needed, since all configurations are provisioned automatically from the service configuration database. In the event that the network configuration is different from the service configuration database, e.g. because certain network equipment has been disconnected, because new processing cards have been added, or even because the actual configuration of the equipment differs from the service configuration database, DataMiner automatically reports those changes back to the service configuration database. As a result, DataMiner provides the much wanted 100% consistency between the actual network provisioning and TSBc’s service provisioning database. DataMiner also adds a unified service monitoring and an end-to-end service orchestration layer on top of the different technologies in TSBC’s infrastructure. Service flows with dynamic path and alarm highlighting always provide a comprehensive view on the service flow across different network devices from AppearTV, Bridge Technologies, etc. Powerful alarm correlation rules generate service-oriented alarms, which are automatically translated into trouble tickets by DataMiner. “DataMiner truly combines network management with operations, resulting in the highest possible operational efficiency and the lowest mean time to repair. The new DataMiner OSS/BSS Gateway provides an unmatched, unified view on the entire organization: engineering, operations, and helpdesk. DataMiner sits at the heart of the operations of TSBc, and re-establishes itself again as one of the most strategic assets of any complex operation”, said Ben Vandenberghe, CEO at Skyline Communications.